The Whistler House Museum of Art is pleased to present an exhibition by well-known Lowell artist Janet Lambert-Moore. A Creative Life showcases the colorful and creative career of a woman who has been making art for decades. Janet Lambert-Moore has been an active part of the Lowell arts scene since the 1950's. Taking classes at the Whistler House in the late 1940's, she started on a path of art creation that has spanned over 60 years. 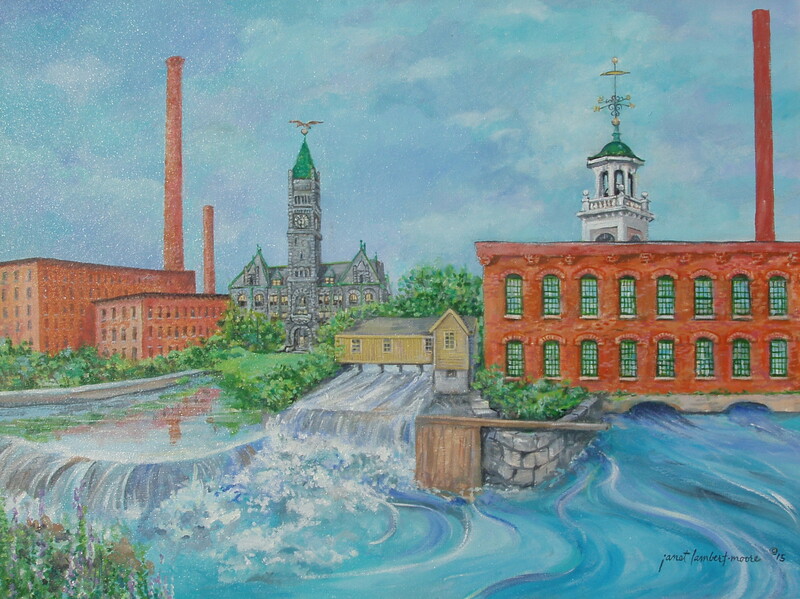 Her oils, watercolors, pen and ink drawings, and murals can be found in collections and public buildings throughout the city of Lowell and beyond. 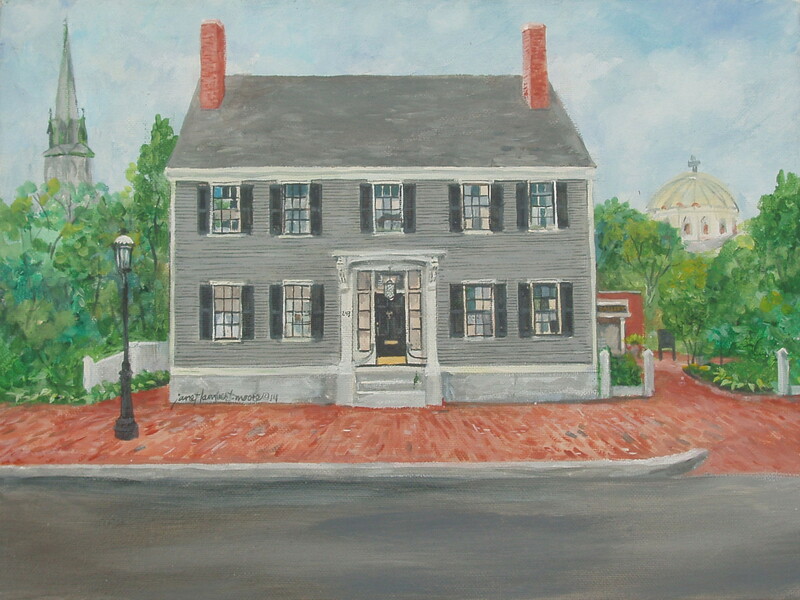 She is a lifetime member of the Lowell Art Association, Inc.
Before pursuing her art career, Janet was an art teacher at Dracut High School for over 10 years. 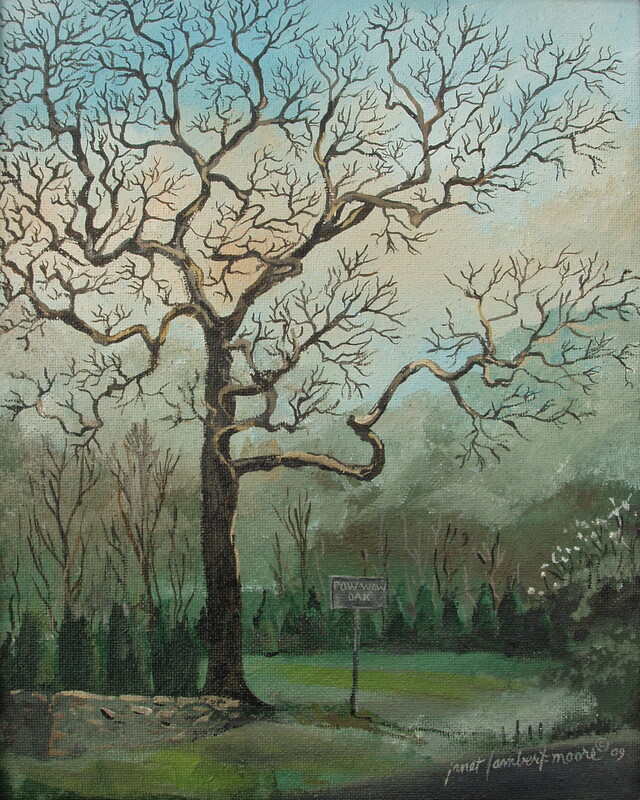 Janet has a BFA from Massachusetts College of Art in Painting and Illustration, and a MEd. from State College at Salem. Download the press release for this show. Images, clockwise: Lowell Montage, 2015; Whistler House, 2014; Powwow Oak, 2009; Chelmsford Old Town Hall, 1995. Click for high-res images.